Hubby and I are leaving tomorrow morning on our trip to Missouri. I did laundry and got mostly packed on Monday so I found myself with a bit of time yesterday morning. 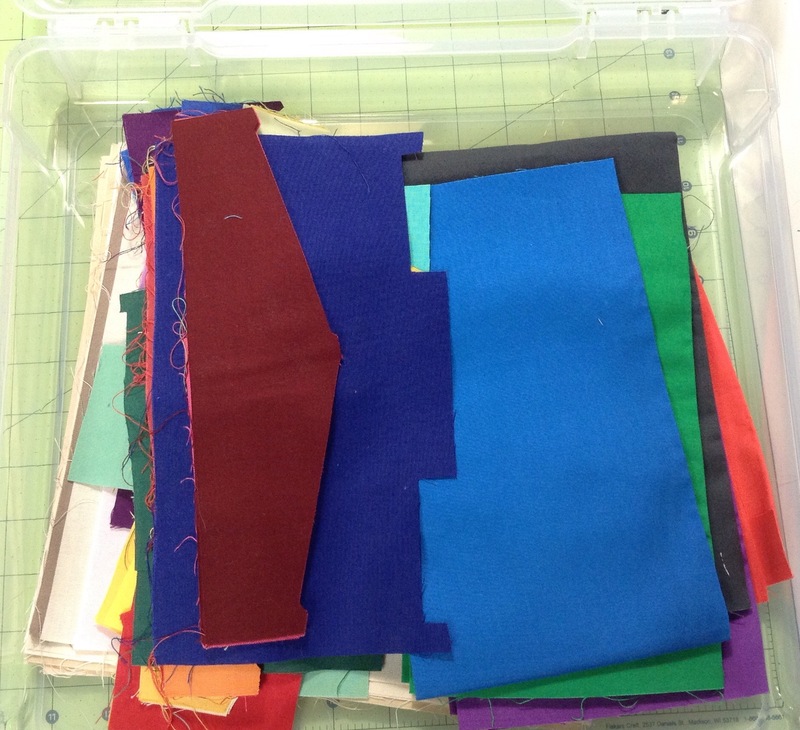 I puttered around the sewing room a bit and finally decided to deal with this bin of solid scraps. 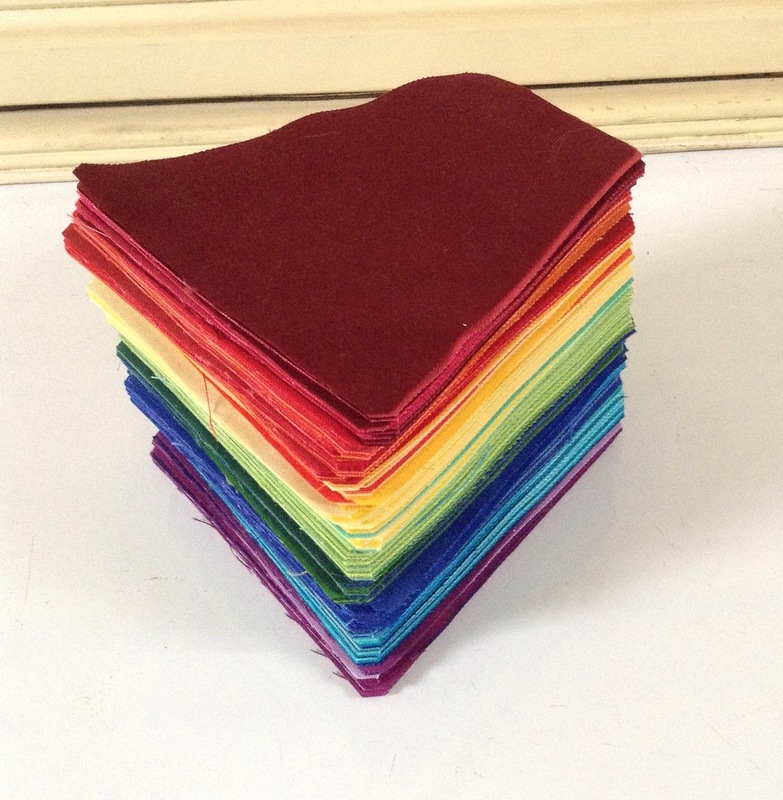 I’ve been wanting to make another tumbler quilt and I think one in solids would be fun. So I started cutting. These tumblers finish at 4 inches tall. 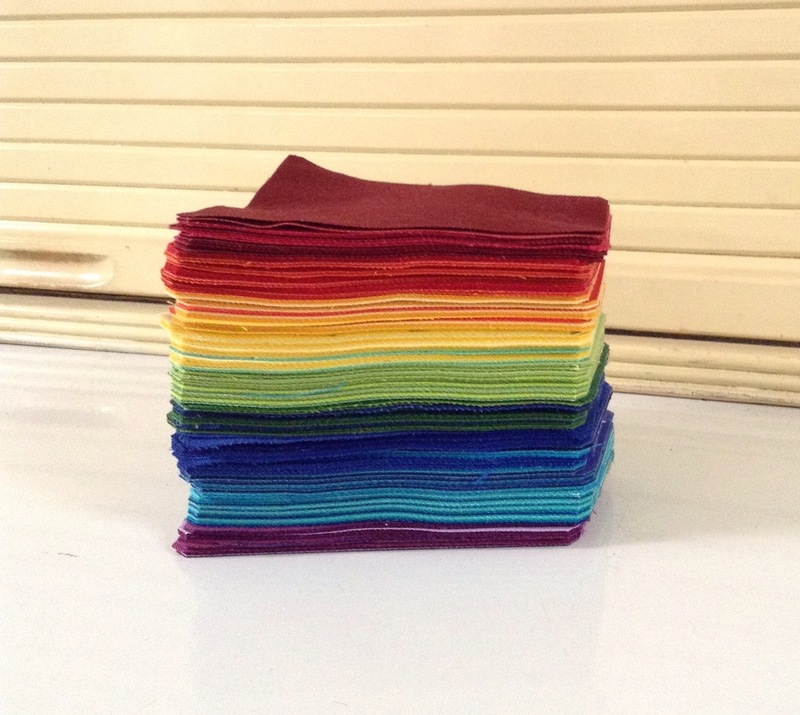 Many of the pieces in this bin were ten inch squares leaving me with scraps like this. A pile of tumblers is so pretty! There are about 300 here. Now they go in their own plastic box. I think this might be my next leader/endear project. 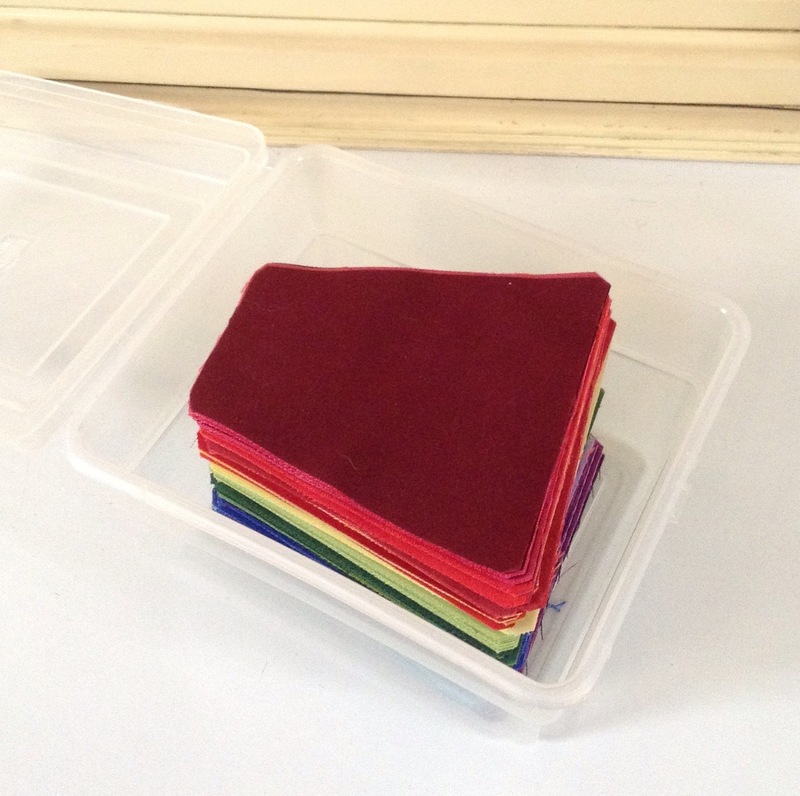 I still have some pastel squares in this box but I didn’t want to mix them in with these mostly brights. I also had a couple larger bits leftover from fat quarters so this is how the bin looks now. Much emptier! And I am thrilled to have my next leader/ender project sorted. Linking up with Freshly Pieced and Sew Fresh Quilts. This entry was posted in Accuquilt Studio Cutter, Scraps, Solids, Stash Management. Bookmark the permalink. Nice pile of fabric, I’m sure they’ll all louk great together! Very cool! Do you have an Accu-quilt? What a great looking pile of tumblers. Have a great vacation. I love to clean up my scraps too. Have fun on your trip and maybe get some fabric shopping in lol. They looks lovely all stacked up like that! 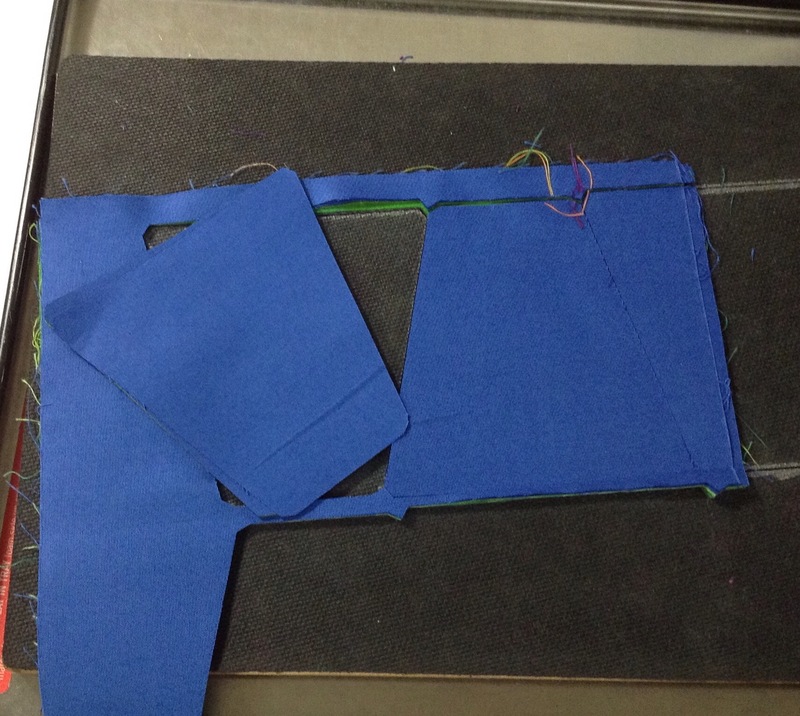 Nice to have everything ready for a project so that you can just sew. That pile of rainbow tumblers is very pretty! I love all the colours in your tumbler blocks. 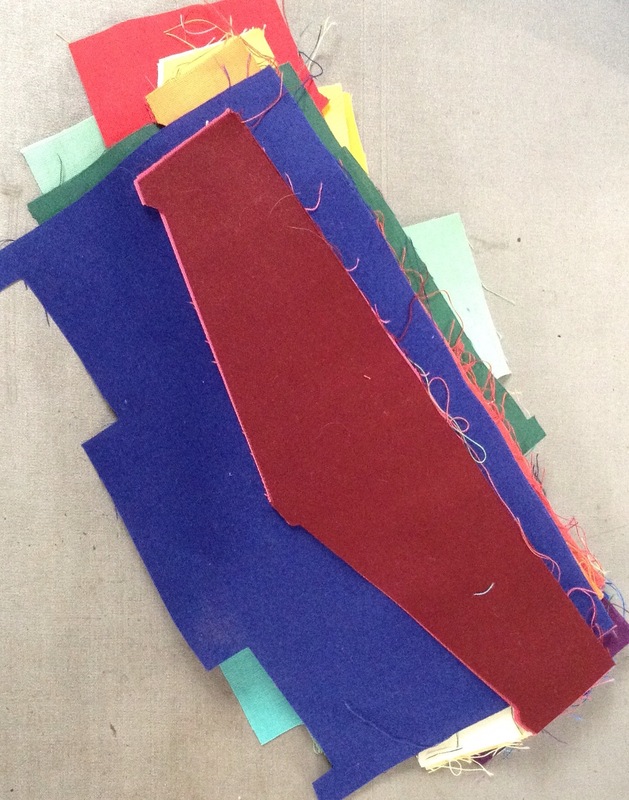 But isn’t it amazing how scraps breed even more scraps! 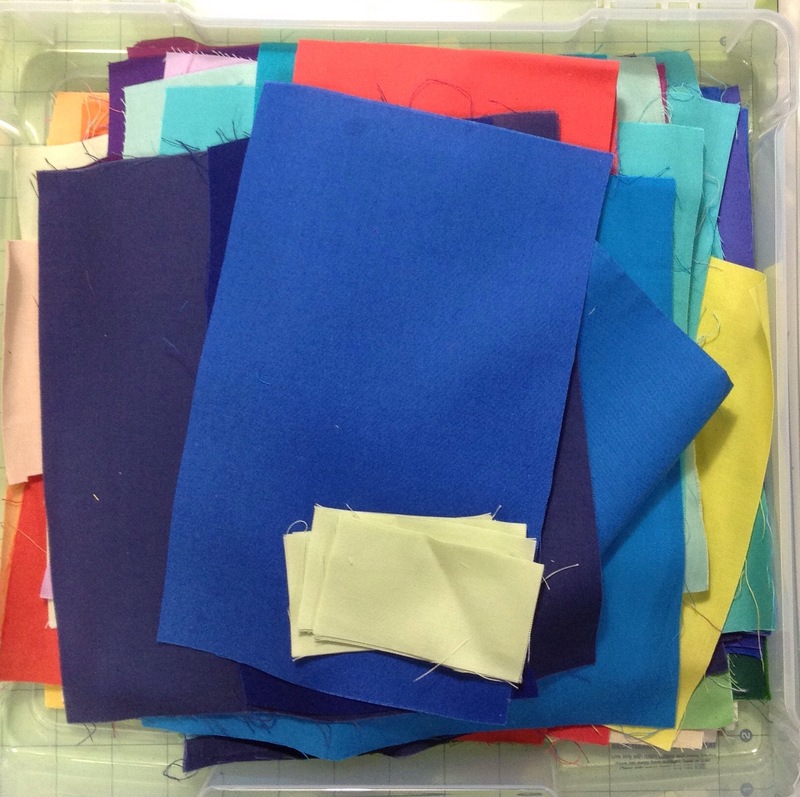 Love the idea of cutting scraps with the Accuquilt to use as a leader/ender project. I keep thinking I need to start that. Now that I have an Accuquilt, I will do it, yes I will!! Thanks for the inspiration! I can’t wait to see this quilt! It looks like rainbow magic! Those are some beautiful solids you’re using to make that tumbler … I can’t wait to see it start to take shape. Enjoy your trip. You’re like the energizer bunny, Katy. I’m always in awe of all you accomplish. Have fun on your trip!